Press Information: The Logitech T400 is a comfortable hybrid mouse that supports Windows 8 navigation with a touch zone and traditional mouse buttons. Scroll horizontally and vertically through Windows 8 with simple, intuitive swipes of your finger, and quickly access all of your favorite apps in the Windows 8 Start screen with a simple click on the touch-zone. You can enjoy up to 18 months of battery life, and with a built-in battery status indicator, you’ll never be caught without power. My review: Once you plug the Unifying USB Receiver on a Windows 8 computer, the Logitech SetPoint software will be installed automatically to enable the gestures on the mouse. For older Windows, you would need to install the software manually, which is highly recommended. Once installed, you can configure the T400 to conveniently access the Start Screen, switch applications by clicking the designated zone on the mouse. The touch zone replaces the mechanical scroll wheel and lets you scroll your screen by sliding your fingers up-down or left-right. It also supports zooming by tapping (not clicking) the zone. The mouse buttons give out a dampened click sound unlike generic mice and therefore less annoying. I like the rubber texture at the sides of the mouse as it gives me more grip. The mouse is not completely compatible with Mac OS: only the left button, right button and zone touch scroll actions are supported. Press Information: The Logitech T620 is an ultra-sleek and comfortable mouse with a full touch surface designed for natural, fluid navigation through Windows 8. Move through your favorite screens and apps with intuitive scrolling and swiping, making navigation as smooth as your smartphone. 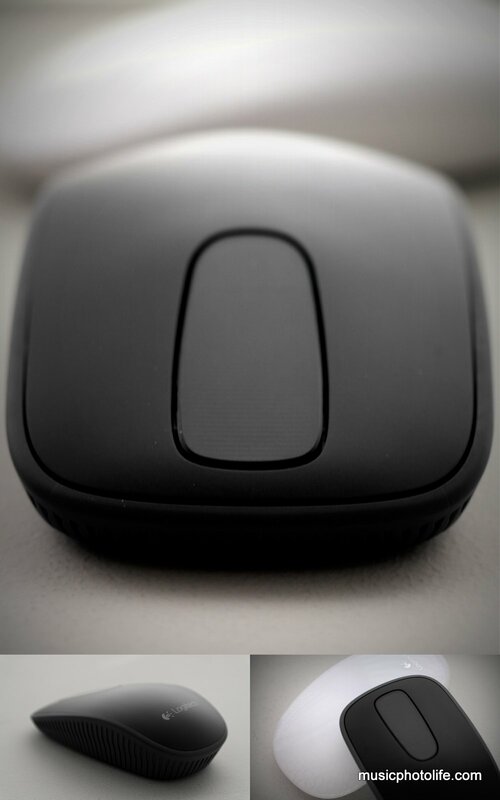 The mouse’s rounded shape lets your hand rest at ease for hours while you enjoy precise cursor movement thanks to a laser-grade optical sensor. My review: The entire surface on the T620 is touch-enabled so your touch gestures are not restricted to zones. But as you gesture on a larger mouse surface, care has to be taken not to accidentally click the mouse, which could easily happen if you put pressure on the mouse with your thumb and ring finger. And among all the gestures I tried, the most difficult to invoke would be the back-forward 2-finger swipe gesture. To enable the full suite of touch gestures on Windows, you should install the Logitech SetPoint software. The available gestures varies with Windows versions. With the latest Windows 8 and RT, you can bring up the charms and switch applications with the same gestures as on-screen touch. With older Windows, the T620 can show/hide desktop and show a summary of tiled windows using various gestures. Just like the T400, the T620 is not completely compatible with Mac OS: only the left button, right button and touch scroll actions are supported. 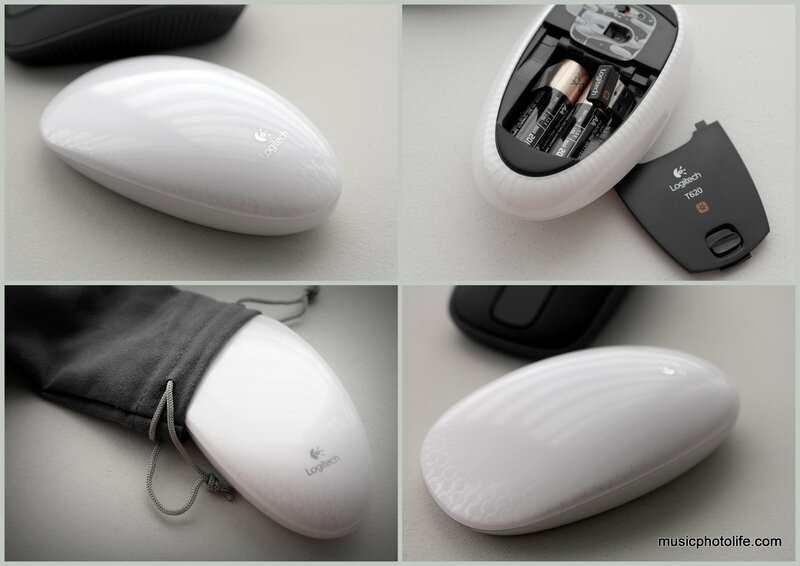 Being a premium product, the T620 package comes with a cloth pouch to protect the mouse. For ease of transporting the T620, there is a slot to keep the Unifying USB Receiver inside the battery compartment. T400 adheres to the traditional click mechanism while T620 design is similar to the Apple Magic Mouse, which might take some getting used to. The T620 offers additional gesture options not available on T400. While there appears to some lag when invoking some of the touch gestures, I appreciate a quieter environment without the annoying scroll-wheel noises. The SetPoint software intelligently identifies the Logitech product that is plugged in and displays the available options. Though the T400 and T620 are marketed for Windows 8, they work equally well with older Windows OS.